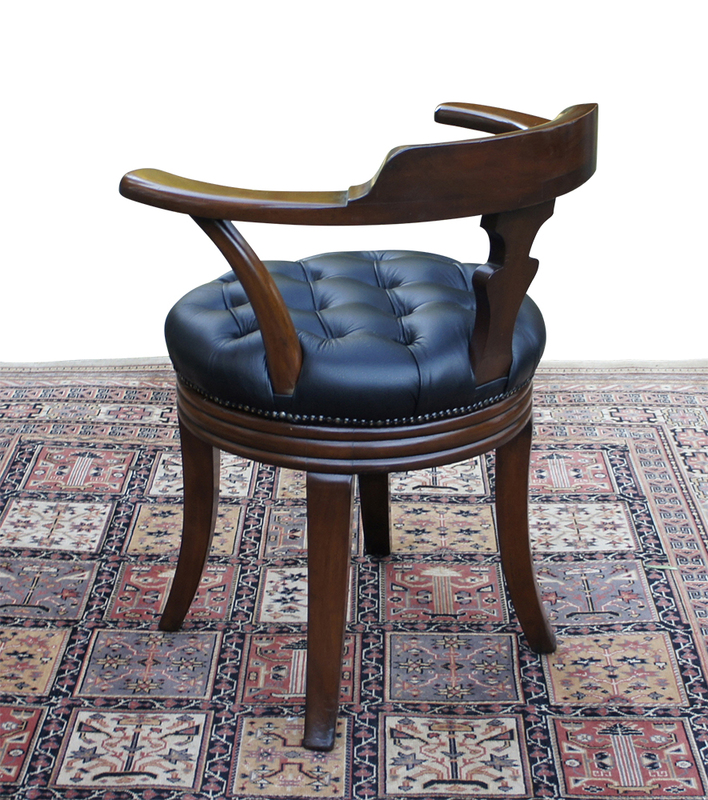 A good quality antique swivel seat desk chair made by the Liverpool manufacturer 'Alex Grant and Son' ; the original lable is still on the underside of the chair. 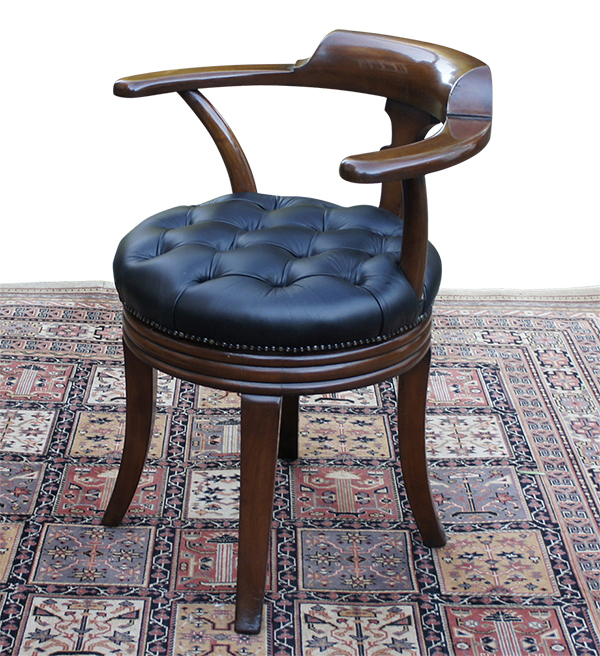 The deep buttoned seat has recently been recovered in a good quality black hide. 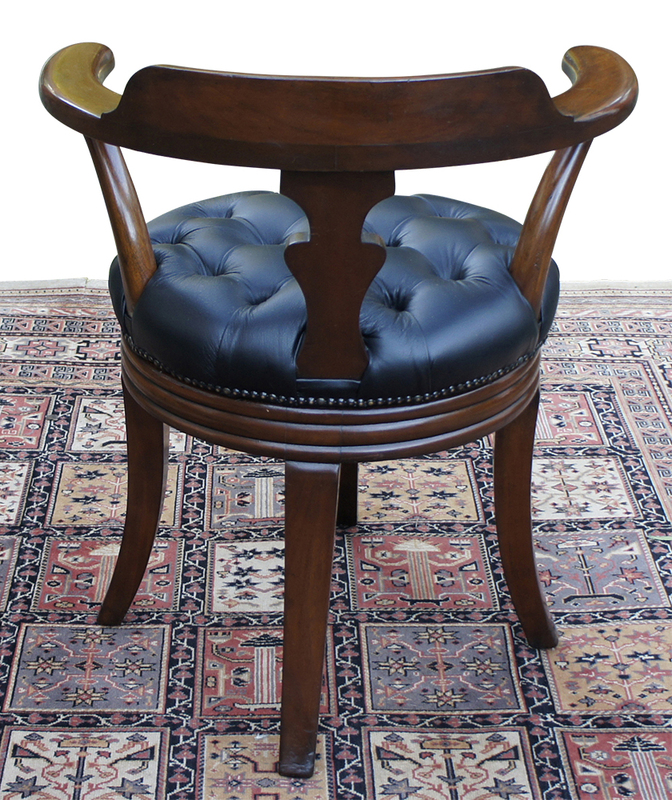 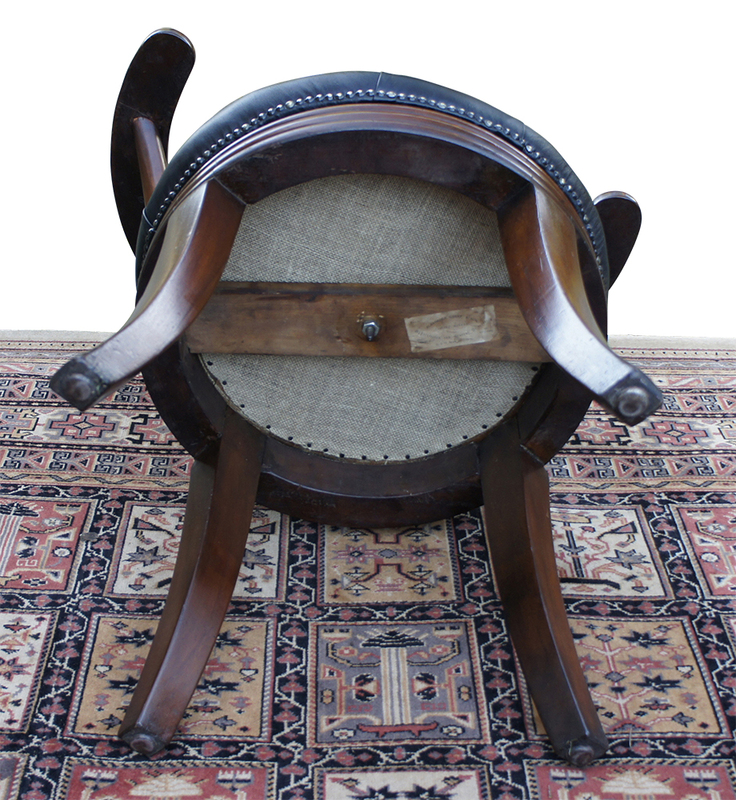 The chair seat has a circular revolving base over four well carved swept legs. 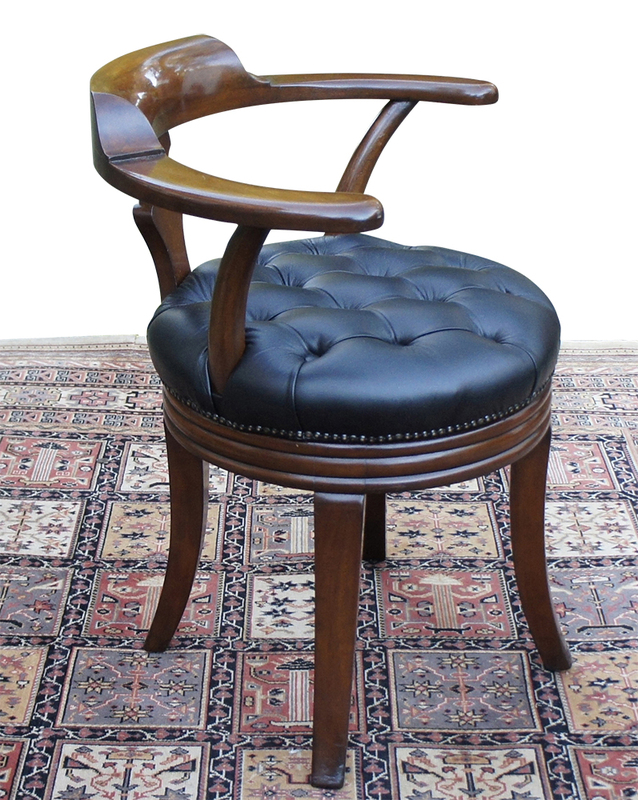 The swivel movement operates smoothly and easily in a complete circle. 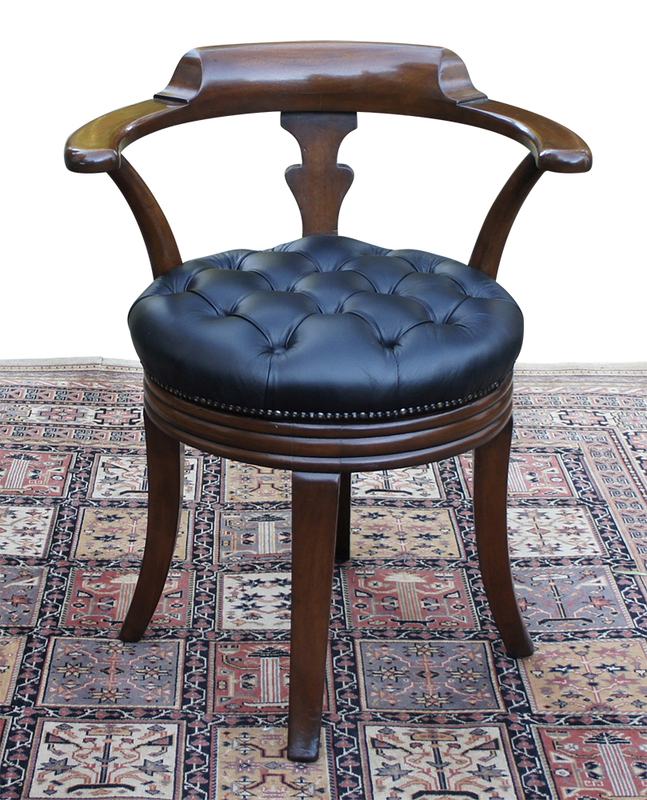 The very comfortable chair has been traditionally restored to a high standard, including french polishing.